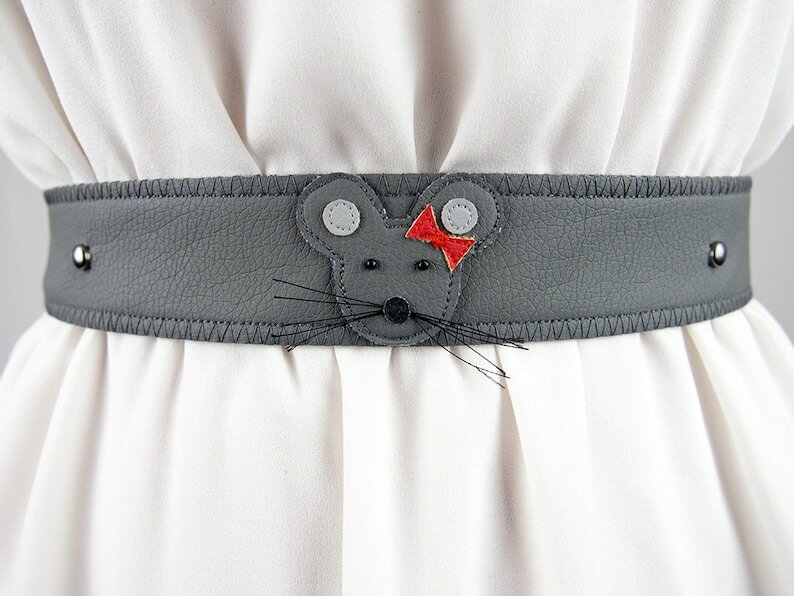 A brand new 'Female Mouse Belt' with ribbon and decorative metal studs. It was designed and handmade by me. Faux Leather, Metal Studs, Satin Ribbon, Plastic Beads, 100% Wool Yarn.